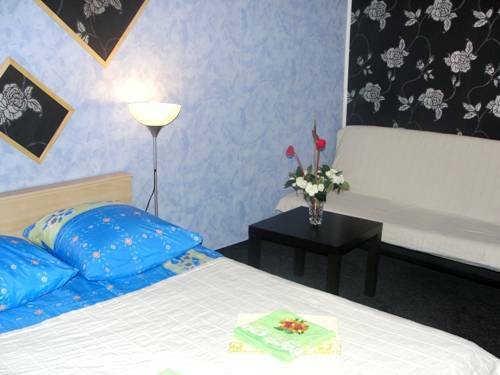 Sabrina hôtel : Bon plan ... Bon rapport qualité prix. Bonne situation centrale. We are Located in down town of our city. All main sightseeing are located in a walk distance. Walking water boats are working 24 hours in summer time and the closest boat stops are located in 5 minutes from us, on Fontanka River. 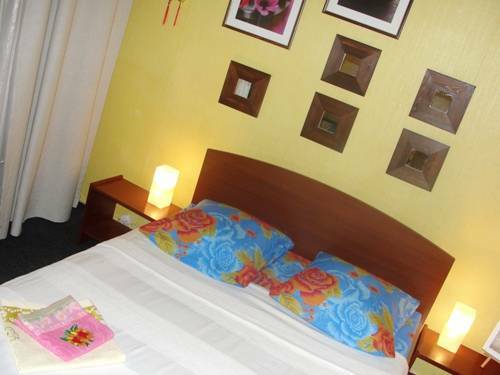 Our guest house is for people who are not looking for noisy party and prefer calm rest and value of cozy rooms. Some of our rooms has old FirePlaces. Large beds with comfortable mattresses will give you the whole rest after long walks. Bathrooms have all a needed bath accessories. Tasty breakfast with pancakes will be a good start of your day. We are always glad to prepare for you our Russian Traditional rich breakfast with hot Pancakes and Honey, Porridge with cream, hot Cottage cheeses with sour cream or Apricot jam. Children very like Apple Buttermilk Pancakes with a Strawberry syrup. Traditional French, breakfast is always available too. Just several minutes walk and you are able to enjoy the grandeur of St. Isaacs and Kazan Cathedrals. Nearby you will see the Admiralty the first shipyards in Petersburg, being a monument of architecture. Next to it are the Hermitage and the Palace Square the favourite places of the city dwellers. The Palace Embankment and the Spit of St. Bazils Island open gorgeous views of the Neva, Peter and Paul Fortress and Winter Palace. 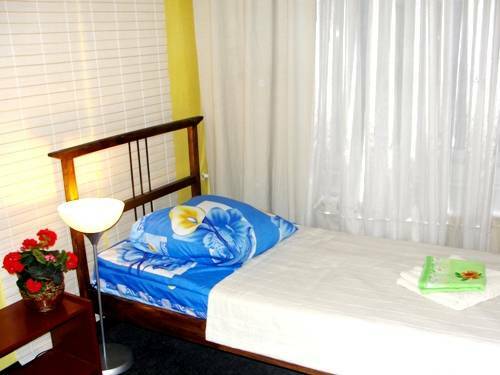 All Rooms will be Convenient for Accommodation of a Good Company and small or large Families. Almost in every room there is additional sleep place-sofa-bed. 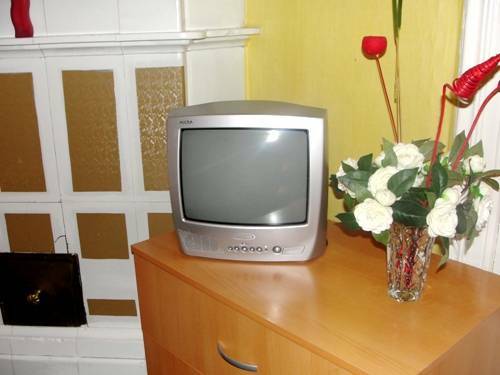 All Rooms are Large, Sunny and Decorated by Candles and Room Flowers. 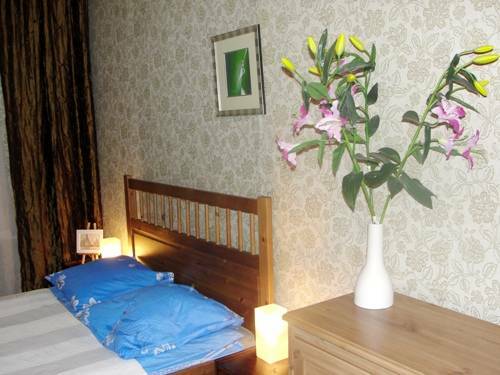 The Soft Beds, parquet floors from a natural tree and hot Tea with Mint Will Give You Sensation of Full Rest. Bathrooms: hot water, hairdryer, soap, shampoo, gel for shower, fresh towels. Such neighbourhood will give you an opportunity to enjoy walks round the most splendid prospects and embankments, to watch draw bridges, to have a travel on boats, yachts and river buses along the rivers and canals, to plunge into the club and restaurant life of the city at night. Come out from metro you walk along Zagorodniy pr. to building #23. From airport: from Moscovskaya metro station to Technologicheskiy Institut, change line and go some more station to Vladimirskaya. From Ladozhskiy railstation to Dostoevskaya metro station.